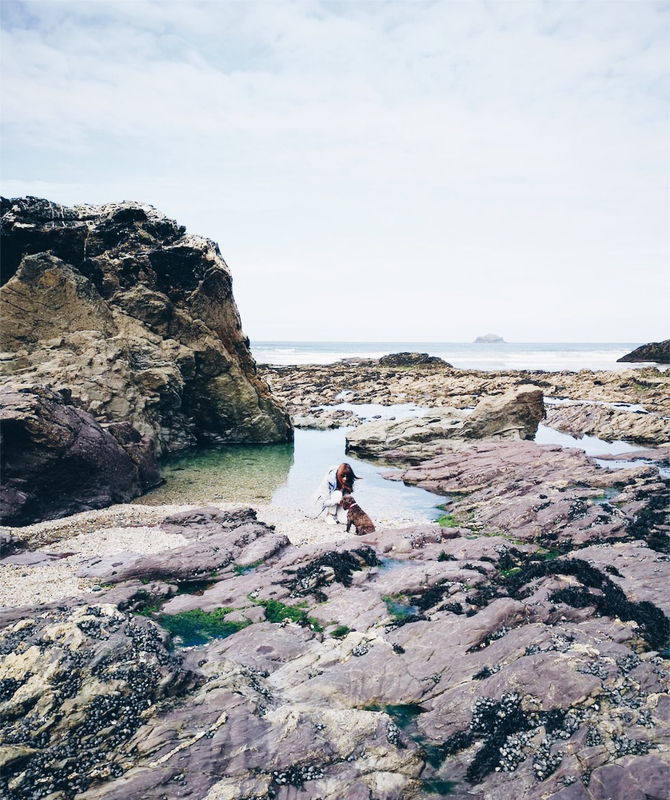 North Cornwall has to be the dreamiest out-of-season coastal escape, a walker’s paradise, the North Cornish coast boasts sweeping bays and stunning cliff walks with uninterrupted sea views for miles. 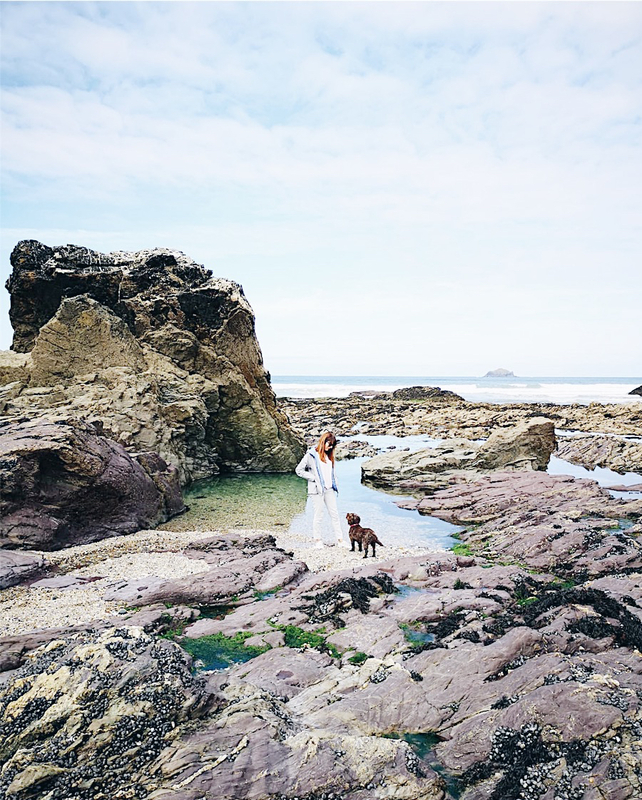 A few weeks back, I was invited to stay at the St Moritz Hotel, located on the headland of Trebetherick, boasting stunning views across Greenaway Beach, the Camel Estuary and Atlantic Ocean, perfectly positioned for exploring the South West Coastal Path with its wild, rugged landscape, peppered with sandy beaches and coves; the dramatic rock-face is fused with spectacular beaches; walk just ten-minutes west of the hotel to Daymer Bay, with its huge expanse of low tidal sands, dramatic sculptural rocks and slated skimming stones, head east and you will find yourself wandering across Greenaway, a pebble beach with many inlets and rockpools at low tide. 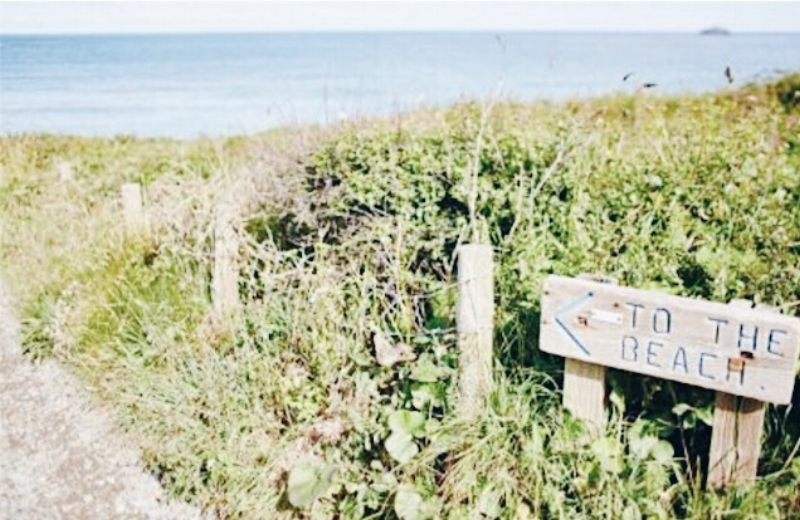 From here, take the coastal path towards Polzeath, one of the most popular surfing meccas of Cornwall. September and October will always be my months of choice to visit Cornwall, the weather is still good, with the sea at its warmest all year, the early autumn sunshine gives the best sunsets and the biggest treat of all is the peace and utter stillness; the crowds have dispersed, there is space to move and a real sense of being able to explore and enjoy the shifting patterns of nature, along with those idyllic seascapes, all to yourselves. St Moritz offers laid-back living within an exclusive location; a contemporary coastal style that is chic with a hint of Miami, its Art Deco influenced building at the heart, complemented with beach-chic interiors, finest locally sourced produce and iconic Cowshed Spa. 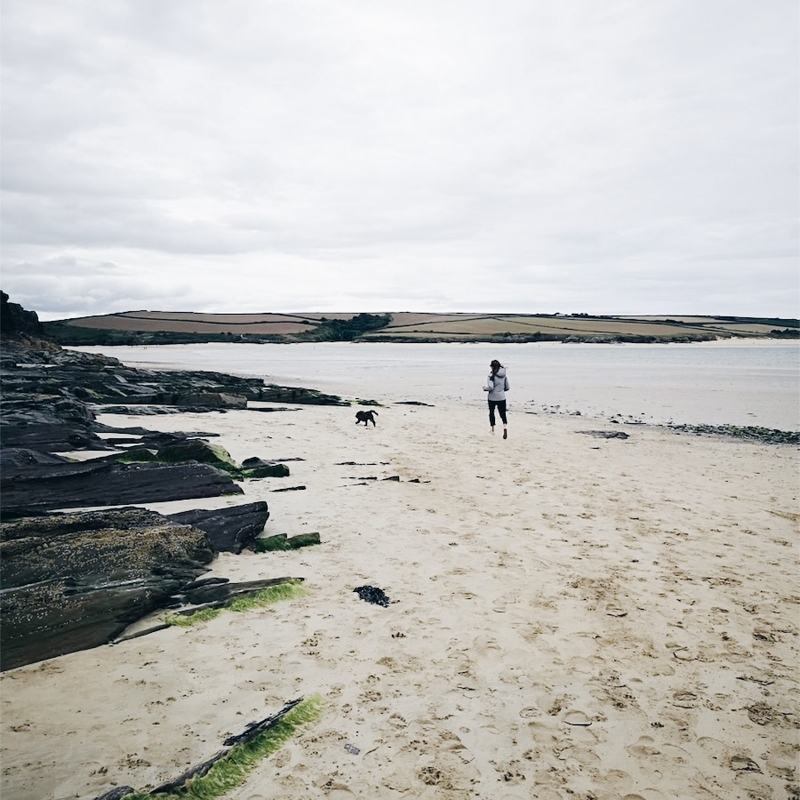 Expect lashings of comfort and Cornish hospitality from the outset, in a seaside retreat that is not only family friendly, yet dog friendly too. An original 1930s’ hotel that stood until the end of the 90s, St Moritz underwent a complete transformation in 2008 and now boasts elements of a transatlantic club resort, providing the ideal destination for a relaxing beach holiday, indulgent spa break or family get-together; think Soho House and Art Deco 1920’s Miami Beach with a family twist. Palm-fringed gardens and whitewashed Art Deco inspired architecture give way to a laid-back coastal style with contemporary-chic interiors. Spacious communal areas are designed with a minimal-modern vibe that is relaxed and unpretentious. 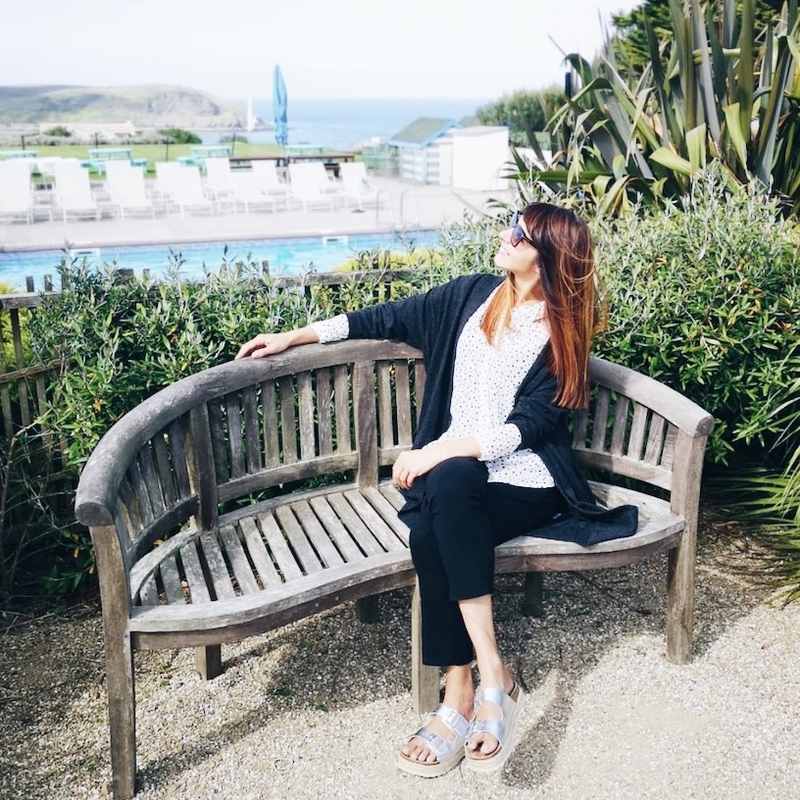 What I love about the St Moritz, is that its a coastal retreat geared towards relaxation, designed to soak up the stunning surrounds with two destination restaurants, bars and large palm-fringed gardens that lead down to the coastal path. There are so many areas to kick back and enjoy; the Seaside, Garden Bar and Restaurant offer ample seating for relaxed casual dining, whilst the Shorecrest Restaurant provides a contemporary dining experience - sample a cocktail or afternoon tea in the adjoining Shorecrest Bar or terraces before visiting the Cowshed Spa, the ultimate space to unwind with a wild crafted treatment. I was booked in for a Moody Cow massage, using a floral, oriental balancing blend of Rose Geranium, Linden Blossom and Frankincense, created to restore harmony, offering an instant mood lift to free the mind, as well as relax, soothe and calm. It proved to be, an hour of utter heaven, followed by a further relax in the hot tub, sauna and steam room and a refreshing dip in the seasonal outdoor pool to wake up before a heavenly cream tea, ensconced in a comfy sofa at the Seaside Café. St Moritz is also home to a tennis court and a gym, ideal if it’s a more active break you’re after. Guests can also enjoy some of the more exclusive benefits to a stay, such as a Land Rover shuttle service, that will take you to Rock and the surrounding local beaches. St Moritz boasts 55 Rooms, including 23 Suites, 33 Coastal Villas, and 13 apartments, two of which are penthouses. Bedrooms are contemporary in design, First Floor Suites with wide sea-facing balconies and loungers. Garden Suites have the addition of a conservatory front, making the most of the views and Kings are allotted a beach hut by the pool, with a table and chairs to make up for their lack of view. Our dog-friendly garden suite featured a sophisticated-chic design, less focused on individual furnishings and more towards modern comfort. The bright and spacious conservatory lead straight onto the gardens, perfect for those, like myself who don’t like to be parted from their four-legged friends! Tea and coffee making facilities, including Nespresso machines, are also provided, making it easy to while away the hours in your own private space. Bathrooms are bright and well appointed with robes and toiletries by the Cowshed Spa, for continued indulgence. A taste of the South West.. The hotel provides ample space to sit back and enjoy the bounties of the region; settle either in the Shorecrest Restaurant, in the main building or poolside in the light-suffused Sea Side Restaurant & Bar with a large terrace overlooking Stepper Point headland and the Camel Estuary. 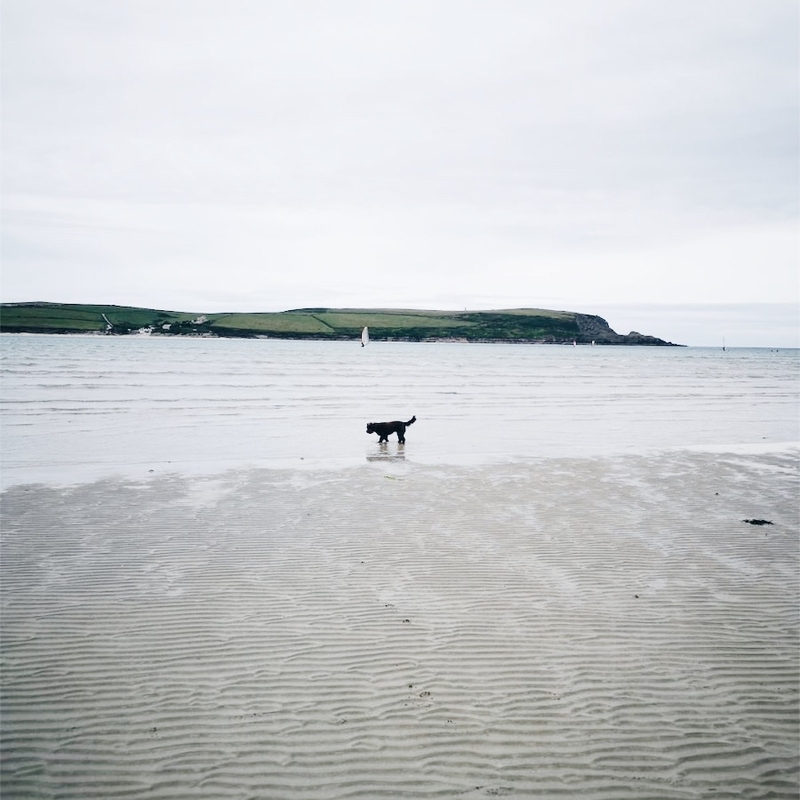 The hotel’s menu profiles the finest ingredients of the North Cornish coast, including fresh asparagus, handpicked just minutes away at St.Enodoc, freshest mussels from Rock and shellfish, picked from the beds in the waters of the Camel Estuary. I indulged in a starter of Asparagus Ravioli with parmesan cream and rocket salad, followed up by a main of Woodfired Roots with natural yogurt and hazelnuts and sides of herb new potatoes and green beans, all washed down with Tarquins handcrafted Cornish Gin and Camel Valley sparkling Rose. 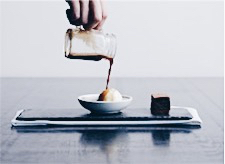 I had just enough space for an Affogato, Petit Fours and a relaxing jasmine tea. Breakfast is buffet style, including granola, muesli, pastries, cold meats and cheeses, fresh fruit, yogurt, berry compote and homemade green smoothie, followed with eggs-any-way from the kitchen and a choice of cooked sides. 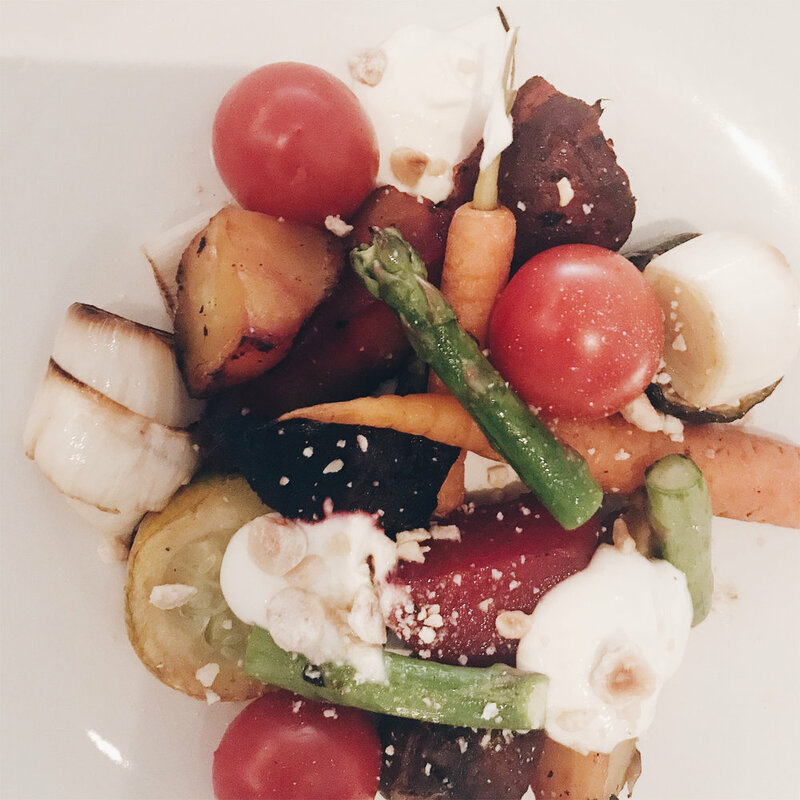 It is rare to find a hotel offering such flexible dining times, serving evening meals up until 9.30pm, perfect for when you want to make the most of a day out exploring; and breakfast until 11am, for those relaxed breaks, when getting up before 9am isn’t on your agenda. The St Mortiz not only offers a great base for a leisurely break in the mid-summer sunshine, it is also an absolute breath of fresh air for an out-of-season escape with a little luxe coastal living; take your pick from a collection of dog-friendly rooms, suites, apartments and villas, all just a short stroll to the shore, ideal for those blustery early autumn walks, where the sun is low and the beaches are at their most peaceful.